Meyer Cookware 19244 Skillet, Red Porcelain/Aluminum, 12-In. Product prices and availability are accurate as of 2019-03-14 09:33:39 UTC and are subject to change. Any price and availability information displayed on http://www.amazon.com/ at the time of purchase will apply to the purchase of this product. 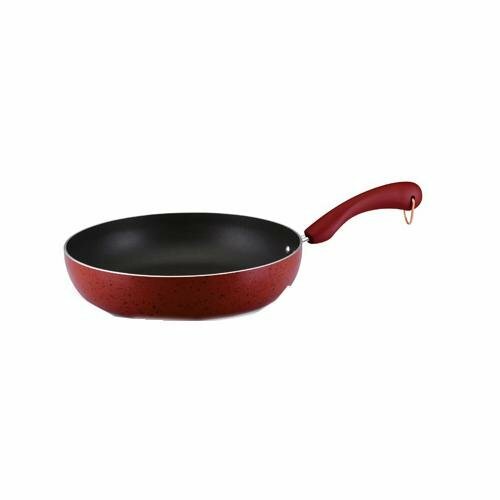 Paula Deen, 12", Red, Non-Stick Porcelain Skillet, Speckled Porcelain Enamel Exterior Is A Breeze To Clean, Aluminum Construction Heats Quickly & Evenly, Rubberized Handle For A Cool Touch, Copper Plated Ring For Convenient Hanging, Oven Safe To 350 Degrees Fahrenheit, Hand Wash Only, Backed By Limited Lifetime Warranty.